This Mix Magazines Family Combo pack has been designed keeping in mind the reading habits of the Bengali people. 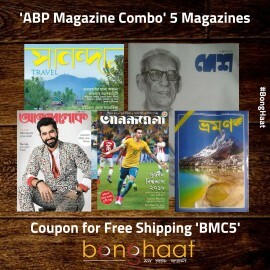 All the magazines are procured new from their respective publications namely ABP, Bartaman and ship directly to the customer’s place. 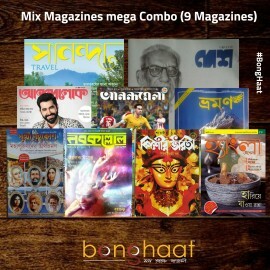 This combo pack of Mix Magazines Mega Combo will consist of 5 fortnightly & monthly Bengali magazines namely, Desh Magazine, Anandalok Magazine, Bhraman, Hangla Hasel Magazine and Sananda Bengali Magazine. 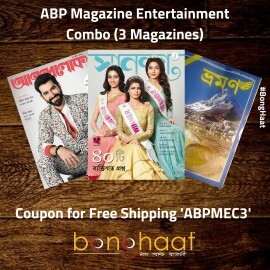 All these magazines are procured and packed new. 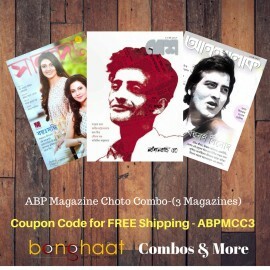 In this combo pack will consist of current issues of the given magazines only. 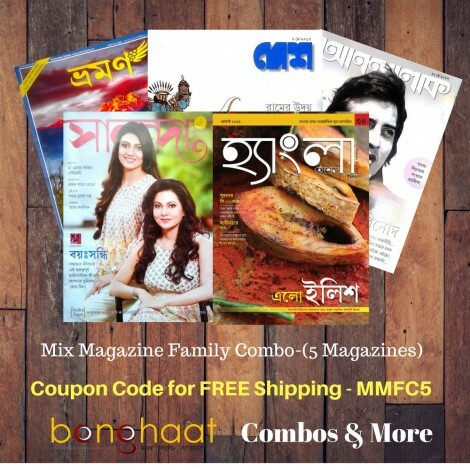 Enjoy reading your favourite Bangla magazines at the convenience of just a click.